Our Cyber Vulnerability Assessment (CVA) is a comprehensive penetration testing regime engineered to find every possible species of vulnerability in your environment before hackers and other threat actors can exploit your data and corporate environment. 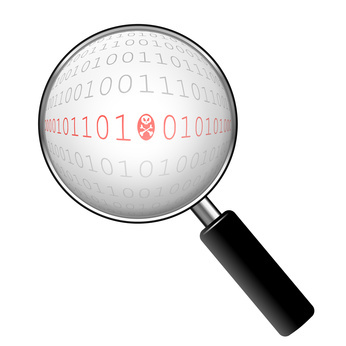 Our approach to assessing vulnerabilities and penetration testing is simple. To stop a hacker, you must think like one: We take the hacker's viewpoint when we look for ways to exploit your environment. We combine this approach with established industry best practices to ensure we root out and document your vulnerabilities, before someone can use them against your organization. Other companies may provide similar services, but few actually provide the same level of context and relevance to your business operations as Optium. Consultation and Planning: We work with your IT department and major steak holders to understand and address specific areas of concern. We also gather data from your IT department and mission critical players in your organization. Additionally, we examine the architecture of your network and application environment to ensure your existing architecture is as secure as possible and meets industry best practices from a cyber security viewpoint. This allows Optium Cyber Systems to holistically plan the specifics of your Cyber Vulnerability Assessment (CVA) for maximum effectiveness. (OSINT) Open Source Intelligence: We look for public domain data that can be used against your organization to breach your environment. Since reconnaissance is exactly what hackers do to plan their attack we need to see that same data to help protect your organization. Vulnerability Analysis: There are many ways your environment can be vulnerable; from known vulnerabilities that are unresolved, to deprecated and unsecure configuration and architecture practices, and finally overly permissive polices that have little business value but are useful to those who wish to breach your environment. We use a suite of industry standard tools such as Kali, Nessus, and other software platforms to find vulnerabilities in your enterprise. Exploitation: In some instances, we’ll want to know how “how bad is bad?” in order to address those issues. We work in concert with your IT department to plan, prepare, and exploit “hack” certain vulnerabilities and document findings so that the technology provider can patch or otherwise address particular vulnerabilities. Security Awareness Training and Social Engineering: Your organizations cyber security posture is only as strong as your weakest link. People are invariably the weakest link in the cyber security chain. We introduce a regime of education and testing to ensure everyone understand how to recognize threats such as bad computing behaviors, emails, and when they’re being socially engineered and exploited. Reporting: You’ll receive three different reports tailored to three different target audiences. Executive Briefing: Tailored to inform at a high-level the critical findings and recommendations for remediation. This will include categorizing results with easy to understand explanations. Detailed Reporting: Actionable intelligence for technical staff that provides in-depth information of each vulnerability found along with industry references. Raw Data Reporting: The largest volume of data in the report, meant for technical staff.